A tireless researcher and advocate for the effortless singing professional, Mark Joelson Daboll is a performing baritone, music educator, and voice teacher – a capacity for which he has garnered much praise as a master technician. His 21st century teaching skill-set successfully serves the building of all voices. He is sought after as a reliable voice-renovator to professional opera and music theatre singers in all stages of their careers, and for the development and rehabilitation of misdirected voices. He is a teacher with immediate solutions to reaffirm individual, authentic vocal identity, and maximize vocal and artistic capability at the highest level of performance. Originally classically trained, Mark is also uniquely certified to teach all vocal styles, including golden-age and contemporary Music Theatre, Broadway belting, Pop-Rock styles, Country, R&B, and Jazz. His primary teacher/mentor influence in this domain is Lisa Popeil (with whom he is certified as a Voiceworks® Associate teacher); other influences include the works and research of Dr. Matthew Edwards (Shenandoah University), and Jeannette LoVetri. Mark is also the founder/director of Please Judge Me – the innovative web platform for vocal coaching, through which he has been interviewed on a variety of vocal topics on CBC Radio 1, The Global Morning Show, Schompera.com, CTV.ca, City TV’s Breakfast Television, featured in University of Toronto’s Alumni Magazine, and as a presenter for the Treehouse Talks series on the perils and fears many people experience singing in public. 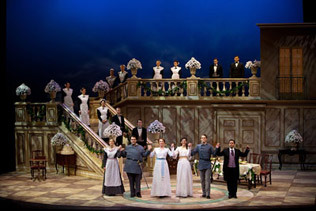 As a performer, Mr. Daboll sang at the Canadian Opera Company from 2000-2010 in numerous productions as a member of the company chorus, having also performed for several seasons at the Festival of Two Worlds (Spoleto Italy), Spoleto Festival USA (Charleston, South Carolina), Edinburgh Festival (with the COC), L’Opéra de Montréal, and in Merzig, Germany, with the Saar Music & Theatre Festival. He remains an active oratorio and concert soloist. An avid recitalist, in 2017 Mark performed at Wilfrid Laurier University’s Music At Noon Series, and at Toronto’s Heliconian Hall, featuring Maurice Ravel’s Histoires Naturelles and Samuel Barber’s dramatic song cycle Despite and Still, Op. 41. He will reprise this program and teach a vocal masterclass at Carlton University in October 2017.